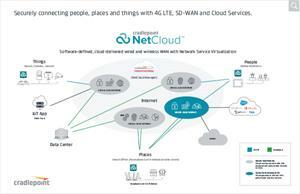 Distributed and mobile enterprises across many industries are embracing cloud, mobile, and Internet of Things (IoT) technologies to increase business agility, empower distributed workforces, and gain operational insights—driving the need for always-connected people, places, and things. As a result, an increasing amount of enterprise network traffic is moving off private IP networks and onto the public Internet. 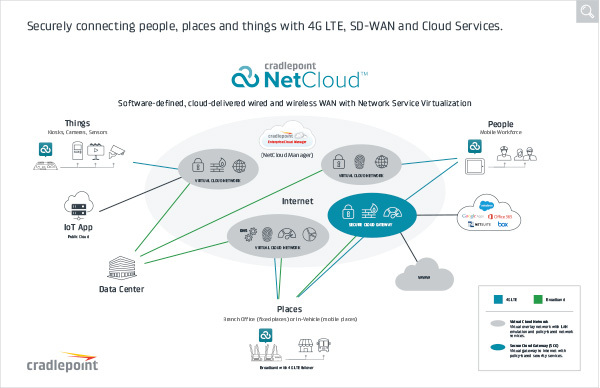 The Cradlepoint NetCloud platform is designed specifically for this new “Interprise” era and allows companies to deploy private cloud networks over wired and wireless broadband Internet services for branch, mobile workforce, vehicle, and IoT networks.